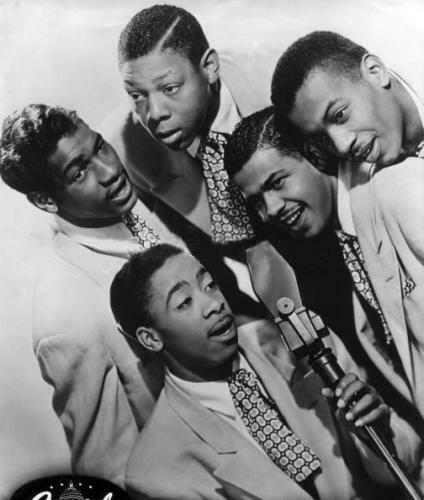 The Five Keys are generally regarded by aficionados of 1950s R&B vocal group harmony as one of the finest groups to ever record in this genre. They are best known for their Capitol recordings of "Wisdom of a Fool," "Close Your Eyes," "Ling Ting Tong," and "Out of Sight, Out of Mind." But in collectors' circles their earlier recordings for Aladdin such as "My Saddest Hour," "Glory of Love," and "Red Sails in the Sunset" are even more highly revered and sought after. 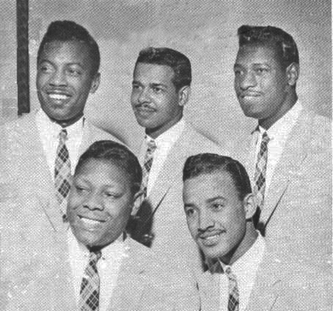 The group originally consisted of two sets of brothers; Rudy and Bernie West and Raphael and Ripley Ingram all hailing from Newport News, VA, part of the "Hampton Roads" area. This region had a rich history of high-caliber vocal music and had previously spawned great vocal ensembles like the Golden Gate Quartet and Norfolk Jazz Quartet. The West and Ingram brothers initially took on the name the Sentimental Four and soon decided to show off their talents by entering a local amateur program at the Jefferson Theater. After winning three consecutive weeks of amateur contests at the Jefferson, they were invited to perform at the prestigious Apollo Theater in New York City, where they also won. This led to subsequent engagements at the Royal and Howard Theaters. As the group established their reputation along the Eastern Seaboard, they were noticed by Eddie Mesner, owner of the California-based Aladdin Records, who signed them to a recording contract. About this time, Raphael went into the army and was replaced by Maryland Pierce (formerly of the Avalons). Also added was another singer, Dickie Smith, and a sixth man, piano player Joe Jones. Reflecting the personnel changes, their name was changed from the Sentimental Four to the Five Keys. The Keys toured both the East and West Coasts and their Aladdin songs were recorded in New York and Los Angeles. 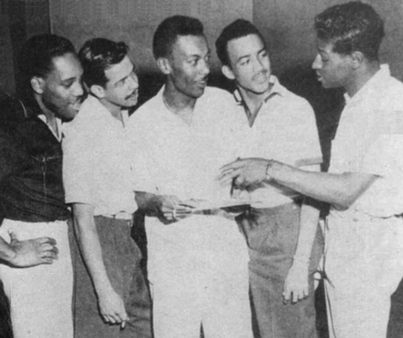 Some of their approximately 17 Aladdin releases in the early '50s consisted of "Glory of Love," "How Long," "Someday Sweetheart," "Red Sails in the Sunset," and "Yes Sir, That's My Baby" with Rudy West and Dickie Smith on leads; and "My Saddest Hour" and "Serve Another Round" with Maryland Pierce on lead. In 1953, both Rudy and Dickie entered the army and were replaced by Ramon Loper and Ulysses Hicks. 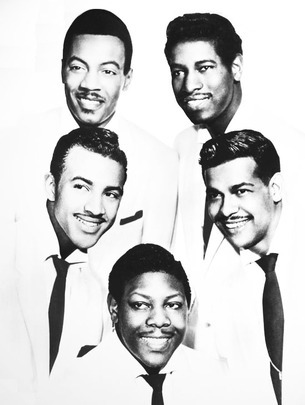 By mid-1954, the Keys' contract with Aladdin was expiring and their last Aladdin release, "Deep in My Heart," was reviewed in June of that year. 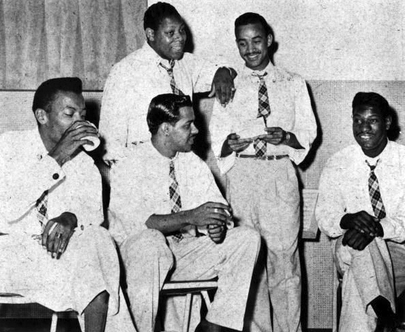 In July of 1954, the Five Keys found themselves in the RCA studios, where they recorded four tracks. Two remained unreleased, and "Lawdy Miss Mary" backed with "I'll Follow You" were issued in August 1954 on RCA's subsidiary Groove label. 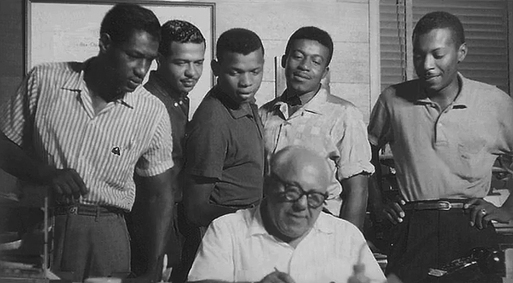 The Keys' manager, Saul Richfield, must have been working very hard for his group at this time, for on August 29, 1954, Capitol announced that they had signed the Five Keys. RCA immediately stopped production of the Groove release and it is now the rarest of the Five Keys recordings. Now recording for Capitol, the Five Keys released "Ling Ting Tong," with Pierce on lead. The record was successful enough to eventually land them a spot of the Ed Sullivan TV show. When Hicks died suddenly in 1954, and before Rudy returned home from the service, the lead tenor position was filled temporarily by Dickie Smith's cousin, Willie Winfield, of the Harptones. But by 1955, Rudy West was back and the Five Keys were in the right place at the right time to be recorded using Capitol's advanced audio production techniques. With Rudy on lead, and backed by the Howard Biggs Orchestra (former Ravens arranger) , they recorded "Out of Sight, Out of Mind" and "Wisdom of a Fool." Another great Capitol release, "Close Your Eyes," featured Maryland Pierce on lead, echoed hauntingly by Rudy's high-floating tenor. Tired of touring, Rudy retired from the group in 1958. 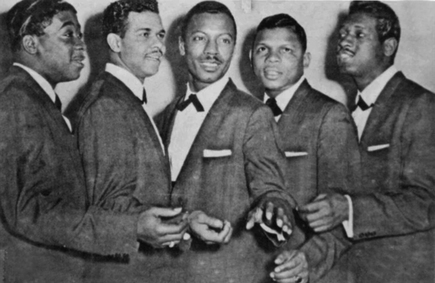 In 1959, with the addition of Dickie Threat in Rudy's spot, they recorded several sides for the King label, the most notable being "Dream On" and "One Great Love." Perhaps it was because the record market was changing, or maybe the Keys weren't quite the same without Rudy, but they could not sustain the success they had achieved at Capitol. During this time, Rudy also recorded on his own for King, covering the Passions' "Just to Be With You" and the Fireflies' "You Were Mine" with an unlisted group. 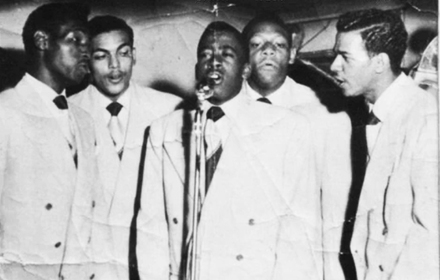 In 1962, Rudy West produced and re-recorded "Out of Sight, Out of Mind" with a new group of Keys consisting of Rudy, Bernie West, and Dickie Smith, along with John Boyd and Willie Friday, for Seg-Way Records. On this version, the group's background harmonies were more pronounced than the Capitol release. In 1965, Rudy recorded "No Matter" on the Inferno label with yet another configuration of Keys, consisting of Rudy, Edmond Hall, Ollie Sidney, Theodore Jones, and George Winfield (yes, another of Willie's cousins). This grouping was also from the Newport News, VA, area and had previously recorded as the Chateaus on Epic and Warner Bros. 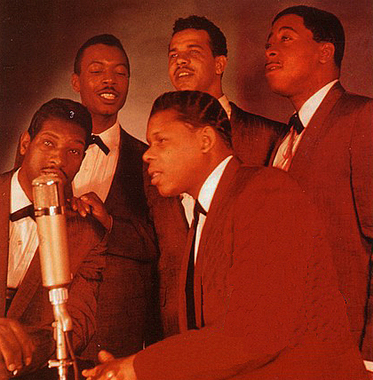 The mid-'70s saw a resurgence of interest in 1950s doo-wop and Rudy West established another Keys group (similar to the Inferno group) that continued to perform through 1998. In 1992, the United In Group Harmony Association (U.G.H.A.) inducted the original Five Keys in to their Hall of Fame. All original members were present and performed together at the induction ceremony. This was their first time together in 40-plus years and would be the last time they would all take to the stage as a group. Rudy West passed away on May 14, 1998. His last performance was on April 18,1998, at the Nassau Coliseum on Long Island, NY. Even at that point in time, his voice was still magnificent, and his phrasing impeccable. The audience was justifiably thrilled at what would be the final performance of this legendary R&B artist. Ripley Ingram had previously passed away. The surviving original members are Bernie West, Dickie Smith, and Maryland Pierce. Fortunately, most of the Five Keys extensive recorded output is now available on various CDs.